Oh, I absolutely love this blue work embroidery. 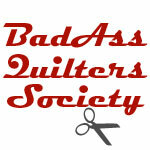 It made me want to take up embroidery again just so I could do one of these. Of course, since the last time I did embroidery was when I was a young girl spending my dime allowance at the 5 and dime store, it may take a little doing to brush off those skills. 🙂 This is a new customer and she did a fantastic job on her embroidery. I wanted her embroidery to be the star of the show, so I stitched a crosshatch over all of the embroidery blocks using Invisifil 100 wt white thread. 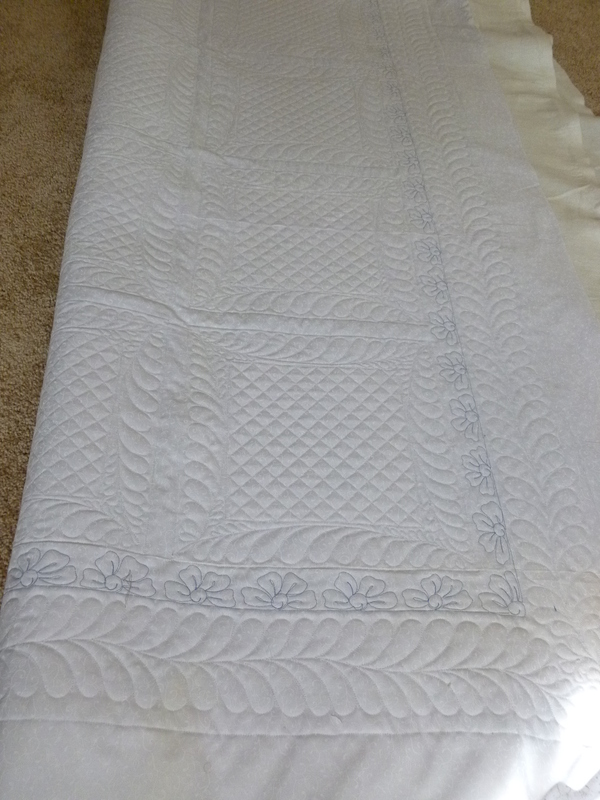 I also used the same white thread in the print bordering the embroidery blocks and in the outer border. 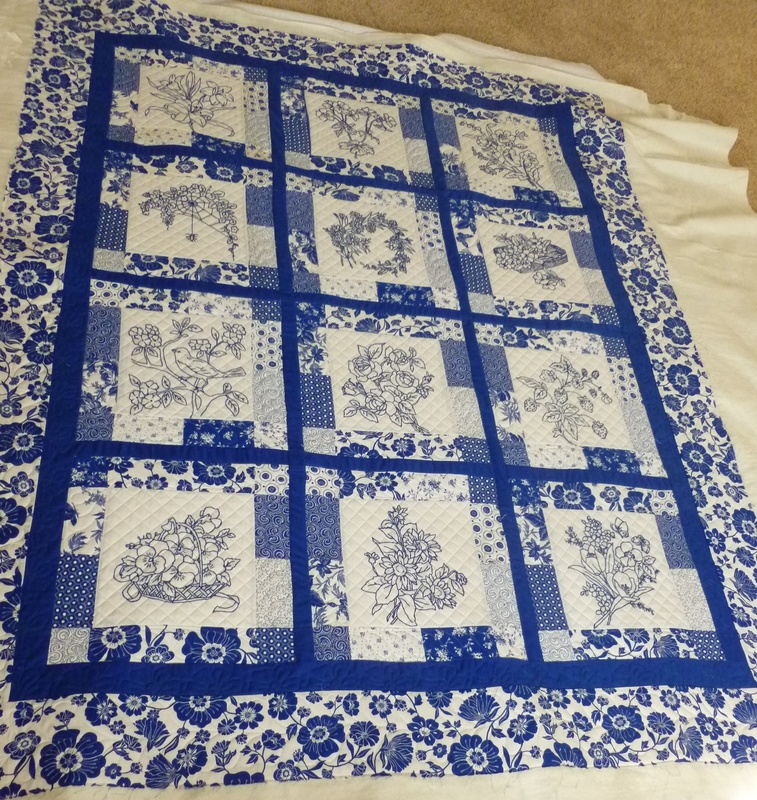 In the blue outer border, I used a blue glide on top with blue bottom line on bottom and stitched out a half flower (traveling in the ditch between each one to stitch down the seam). 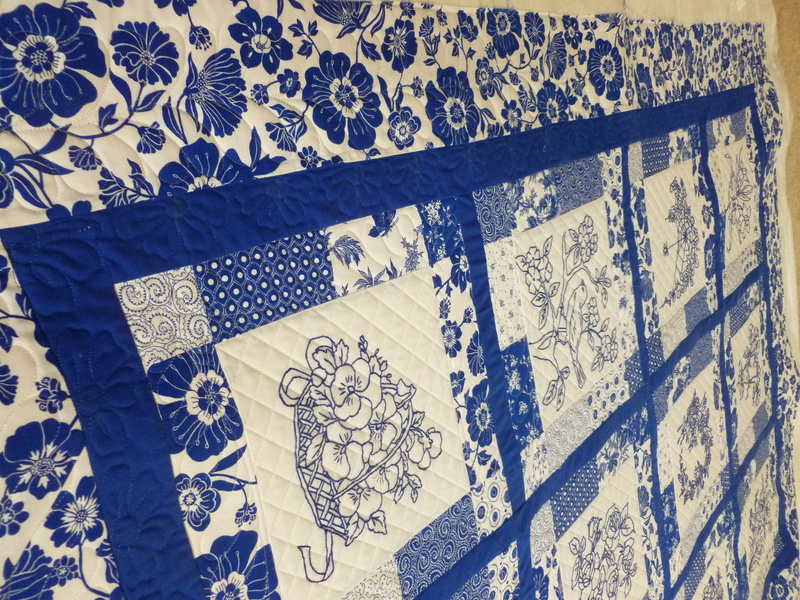 Did I say I love this quilt? Totally love how you did this! So pretty!